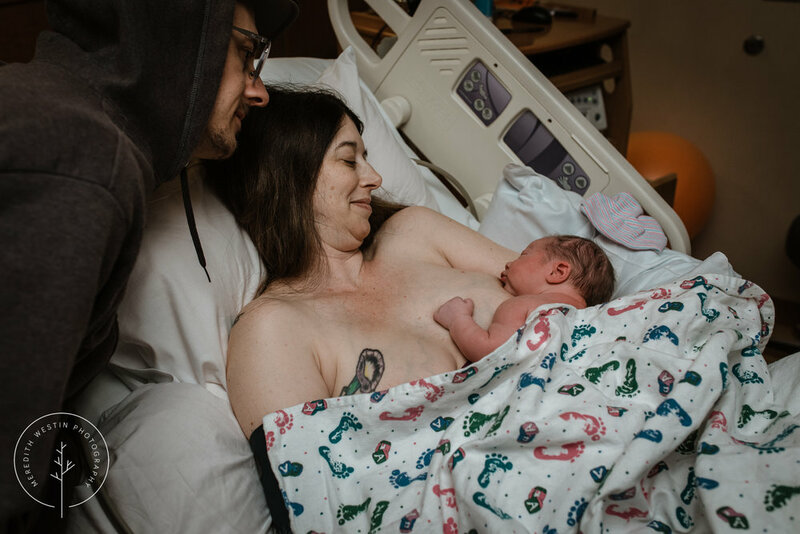 I’m writing this on November 5th, 2018, the day after sweet Terre’s birth, which happens to be the two year anniversary of my birth photography career. 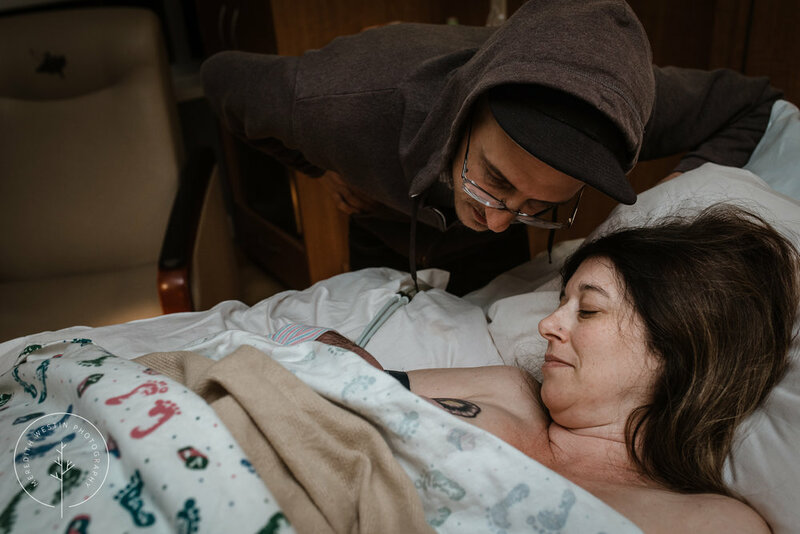 I spent most of yesterday with this incredible couple alongside my lovely doula partner Gina of The Sown Seed and I’ve spent most of today thinking about the lessons I’ve learned over the past two years and 50+ births. 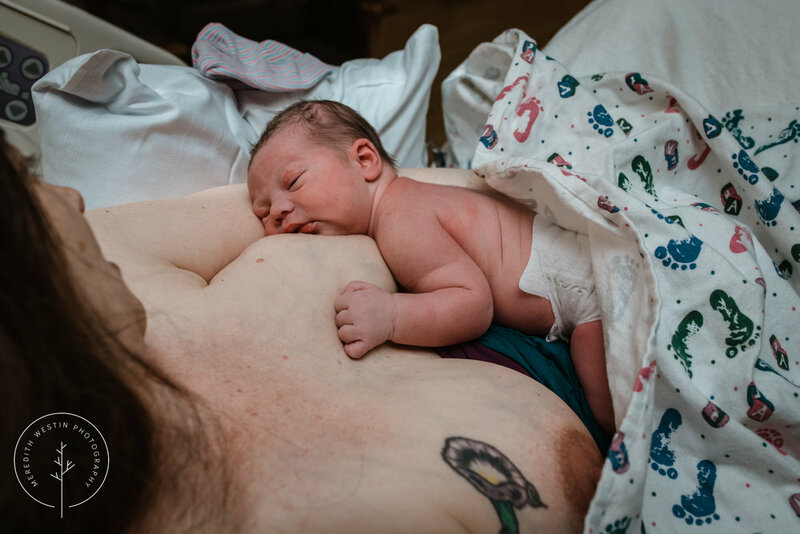 I have, of course, learned so much about birth, and the power and beauty of birthing people, and about photography, but I think I’ve learned the most about myself. Which brings me to this birth. This gallery is misleading. What you don’t see is the shoulder dystocia. 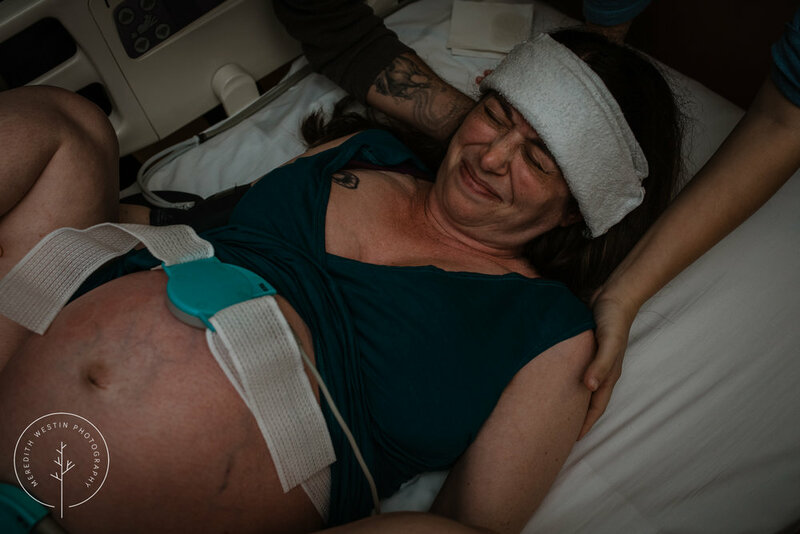 You don’t see the room filling with hospital staff, mama’s knees being brought up to her ears, nurses pushing on her stomach while her midwife attempts to work that baby out of her, and so of course you don’t see any images of that maneuver, called McRoberts, not working. And you also don’t see mama’s midwife giving her a third degree episiotomy and then, later, stitching her back up again. 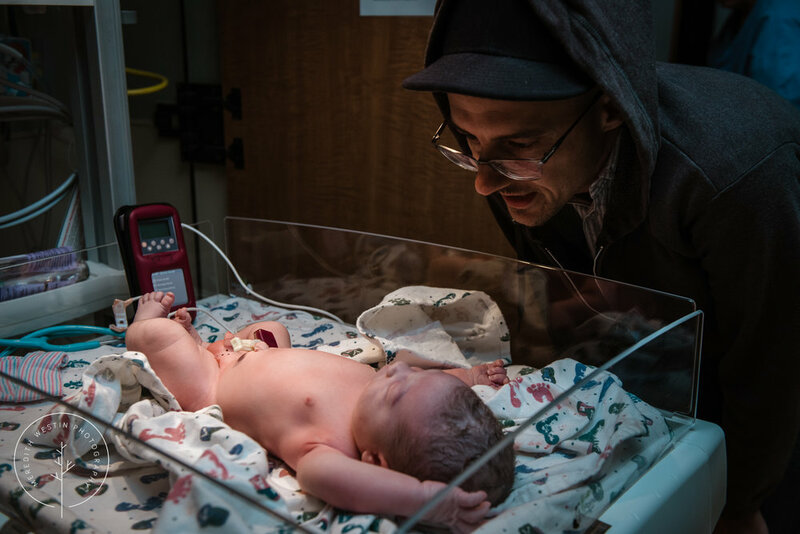 You do see mama working hard to push her baby out, and you see her partner’s support and his waiting arms as he prepares to catch their baby, and you see the lovely golden hour moments they shared with their brand new babe. But you don’t see any pictures of that emergency situation. Why? Because I didn’t take any. One of the biggest things I’ve learned in the last two beautiful, birth-filled years is to trust myself. To trust my judgement and to decide when to document and when to step away. And I’ve learned that I’m entirely capable of remaining calm during an emergency and even being able to help during a scary time. 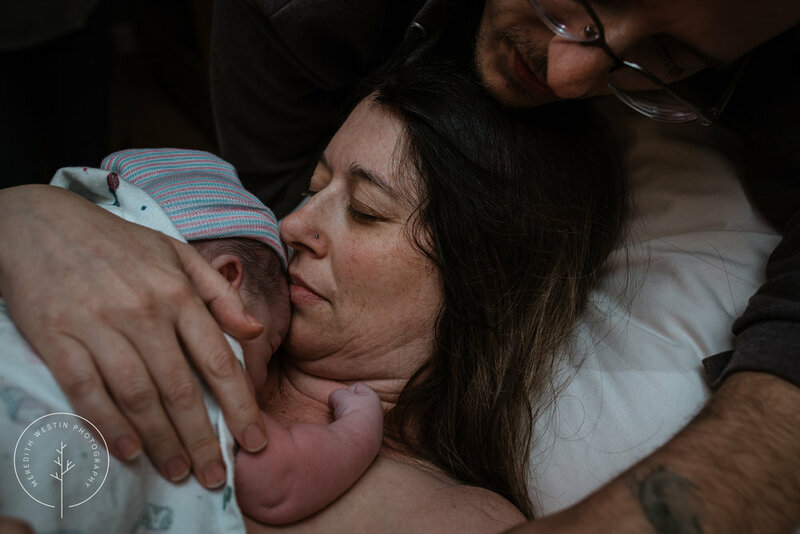 When I first started shooting births, I saw a lot of other birth photographers saying that one of their main goals was to be a fly on the wall, to be an invisible presence, to document without impacting their client’s day and so I, too, adopted that as my philosophy. But it didn’t feel quite right and after a few births I realized: that’s not me. I don’t want to be invisible; I want to help. I don’t want to not have an impact; I want to contribute to a lovely, calm, beautiful atmosphere for my clients. I don’t want to be a fly on the wall; I want to be supportive and caring and an asset beyond just capturing your day. And so that’s what I do: I document, and I fluff pillows, and I keep an eye out for chapped lips on thirsty mamas, and sometimes I put a hand on a shoulder and whisper reassuring words. And I’m so glad that’s who I am: not only someone who can capture your baby’s first birthday and all the emotions, moments big and small, and beauty that goes along with it but someone who is an active part of your birth team and is wholly there for you in all the ways I can be. 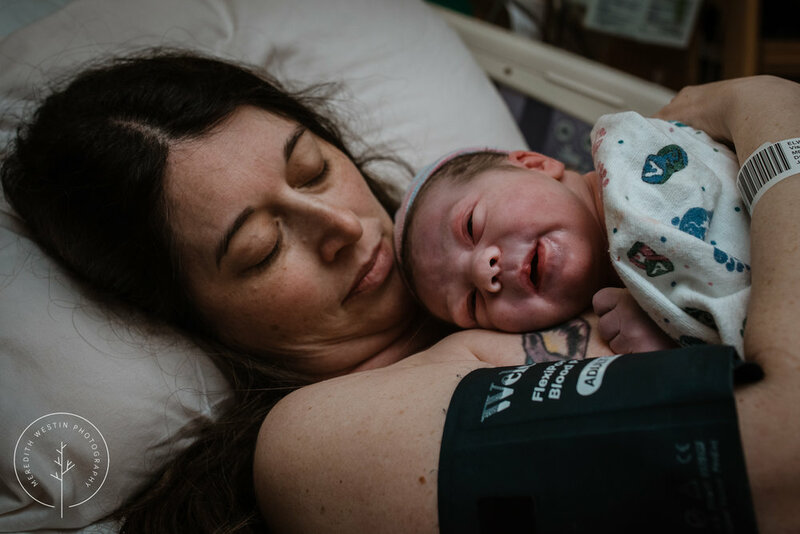 If you’re interested in booking a birth story session, chatting about your birth plans, or just talking about birth photography in general, I’d love to hear from you.